So again, we come back to the question: where does it all end up? A range of medical waste technologies exists today, many of which are deemed as safe and effective. This is a process whereby all waste is processed via incineration (in other words, burned at high temperatures) as a viable zero landfill initiative. This happens when waste is put into a large closed-door chamber. Heat, pressure and sometimes steam injection are used to bring the waste to a temperature that ensures microorganisms on surgical waste are destroyed. While incineration is the most common, a growing number of companies are considering plasma gasification, where a gasifier utilizes an arc torch to gasify waste. Additional disposal options include a chemical digester (chemical or biological reactions are carried out in a large vessel), microwave technology and on-site treatment using a small autoclave system. So which medical waste disposal method is best for your facility? Following are the key factors that you’ll have to consider and prioritize in making that decision. Regulations - Regulatory requirements for waste generators vary by state and may be more stringent than those in the federal program. Be sure to check your state's policies or work with a provider who can advise you. Related blog: Waste Management 101: What Is Medical Waste and Who Regulates It? Cost - Some methods are cost-efficient; while other methods (like incineration) may incur high costs associated with the regulatory standards. Environmental impact - Certain disposal methods create byproducts that ultimately end up in landfills, while others create little to no emissions. Ease of implementation - Some waste disposal technologies are very capital-intensive, which may make them a daunting option for small or mid-sized organizations. Availability in your area - Which providers near you offer the level of service you need? Don’t make the assumption that the big-name providers are the only option. When reviewing your options, be sure you challenge the integrity of your provider before getting stuck in a long-term contract. Questions for a Medical Waste Expert? 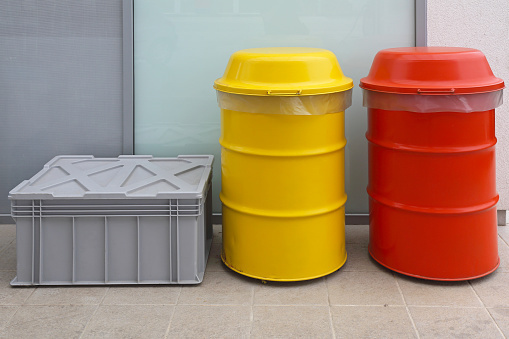 Deciding which medical waste disposal option best serves your facility is by no means an easy task. Do you have other questions for a medical waste expert? We’re more than happy to help. Just connect with us here, and we’ll get back to you quickly!